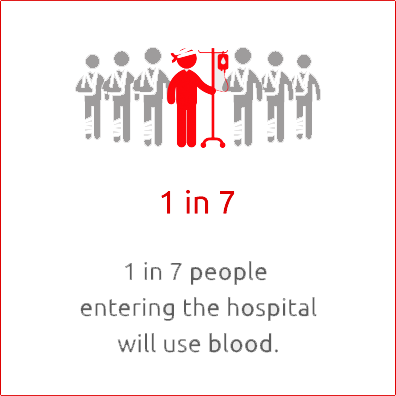 Donating blood is a responsible, voluntary, and unpaid act. Have a platelet count above 150x109/L. These instructions must be strictly respected even when using a condom. You will be asked to show your ID card and to complete a questionnaire. You will then be asked to sign the questionnaire and an informed consent to confirm that you have read and understood the content of this leaflet and that you have answered all questions truthfully. Your presence here is voluntary. You may leave the transfusion center at any time prior to phlebotomy. Whether you donate or not your information is stored on our database. All necessary measures are taken to protect the security and confidentiality of your personal data. All necessary measures are taken to protect the security and confidentiality of your personal data. What Happens to your Blood Donation ? The blood samples collected during the donation are sent to the testing laboratory to determine the donor’s blood type and screen for infections such as hepatitis B and C, syphilis and HIV. If a test returns positive the blood unit is destroyed and the donor is notified. Once tested negative for all infectious diseases, the Blood unit will be separated into different components: Red blood cells, platelets, and plasma. These blood products are then transfused to patients according to their needs and diseases. completed and the blood component is documented safe and compatible. 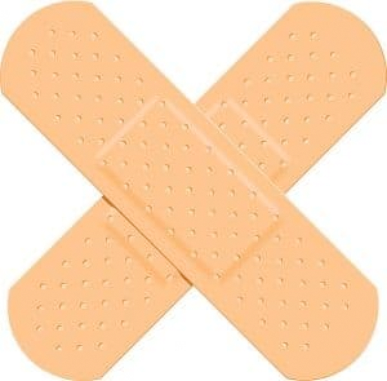 are used for patients with major bleeding secondary to an accident or surgery and to treat patients with chronic anemia. Red blood cells are kept refrigerated, with maximum permitted storage period of six weeks. are used to treat patients with leukemia and other malignancies. Platelets must be stored between 20°C and 24°C under continuous agitation and have a shelf life of five days. is used to treat severe burn patients, infections and other serious diseases. Stored frozen for one year. The amount of blood taken is small compared to your total blood volume. The recovery is usually rapid and you should not feel any fatigue. Rest at the blood bank for 5 to 10 minutes. For the following 12 hours, drink plenty of fluids to replace the fluid that has been lost. Avoid strenuous physical exertion for 6 to 8 hours. 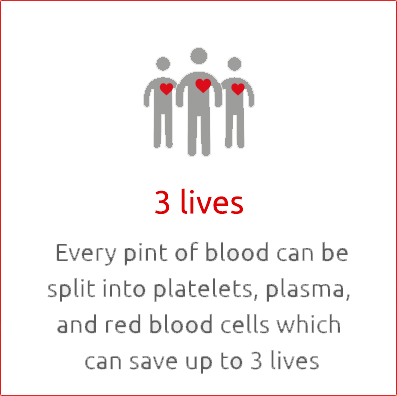 The minimum interval between two whole blood donations is 56 days. 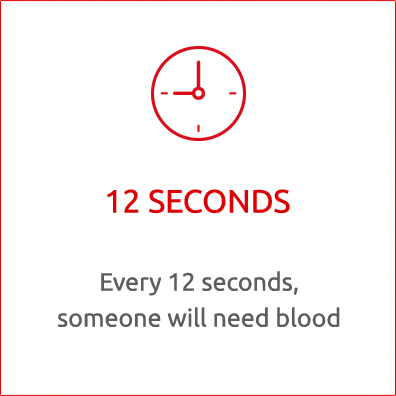 if you forgot to mention something or you want to modify information that you provided during the medical screening, you should inform the blood bank as soon as possible. The safety of the patient depends on it. © 2019 Rula El Halabi – iBloodlink - RN: 1100. All rights reserved. 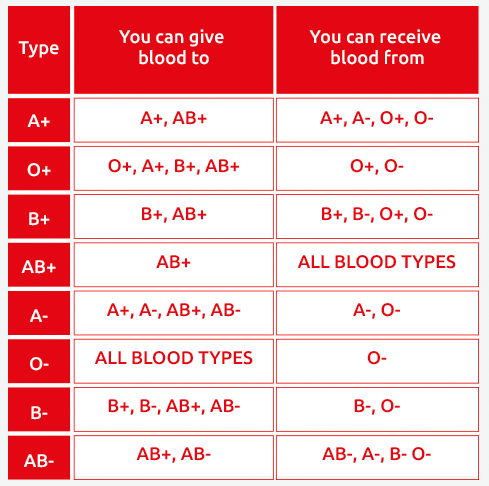 The iBloodlink application and service is a telecommunication service offering, and facilitating a linkage between blood donors and blood recipients. It is not offering or promoting and it is not to be considered in any way as a medical service, nor offering any medical advice, treatment, analysis or healing result. The user/s of the iBloodlink application admit by the fact they agree to the present conditions and terms, that: a) They are of 18 year old and above; b) They are aware of all the medical impact on their own health of blood donating or blood receiving from other individual/s and that their eligibility to donate or receive blood has been professionally evaluated by their own physician and that they are fully and solely responsible for the said evaluation ; c) They have adequate knowledge of their medical background and history and that they are fully responsible for their medical past especially of any contaminating diseases and that they shall adequately report such medical history prior to donating or receiving blood; d) They understand and agree that iBloodlink is only offering a telecommunication tool and is only a link between blood donors and blood recipients. e) They accept to leave iBloodlink and the operators, owners and affiliates thereof as harmless and liable-free from any claim of whatsoever nature resulting from using the iBloodlink service. 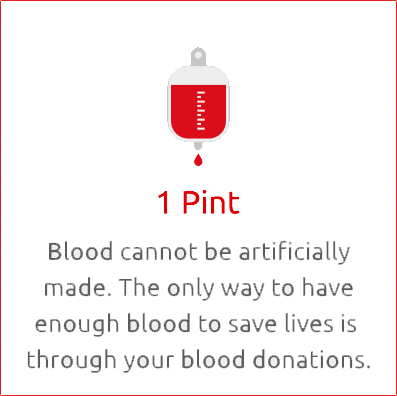 iBloodlink does not guarantee the availability of donors of any blood type or any blood/platelets at any time. iBloodlink uses mobile telephony services to inform donors or recipients requests, and therefore, any failure of the mobile coverage, or internet connection or technical problems relating to the users’ mobile hardware or connection, and hindering the iBloodlink service shall not be the responsibility of iBloodlink owners or operators. Users of the iBloodlink service who would make any profits or seek to sell blood units received from donors using the iBloodlink services shall be solely responsible before the law, and shall leave iBloodlink harmless from any such liability resulting from making illicit profits by selling blood.